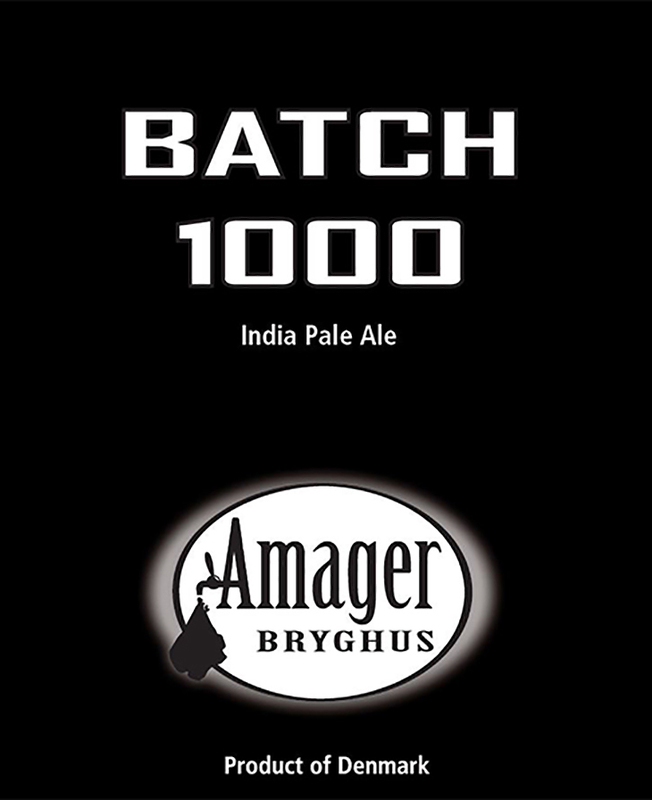 “A great deal of beer has run through our fermentation tanks since Amager Bryghus opened in April 2007. There are more tanks now, and more of US – and, admittedly, there is a bit more of EACH of us as well. But that is just an indication that we are doing well and working hard at sampling beer for you! Now we have brewed and sampled our way to Batch #1.000, and we want to celebrate that with a beer of a type we know many of you love dearly: a juicy, American inspired IPA, dripping with hops. There are hops everywhere in Batch #1.000 – one kind during the mashing and the boil, two others in the whirlpool, and finally three more added during both the first and second dry hopping.